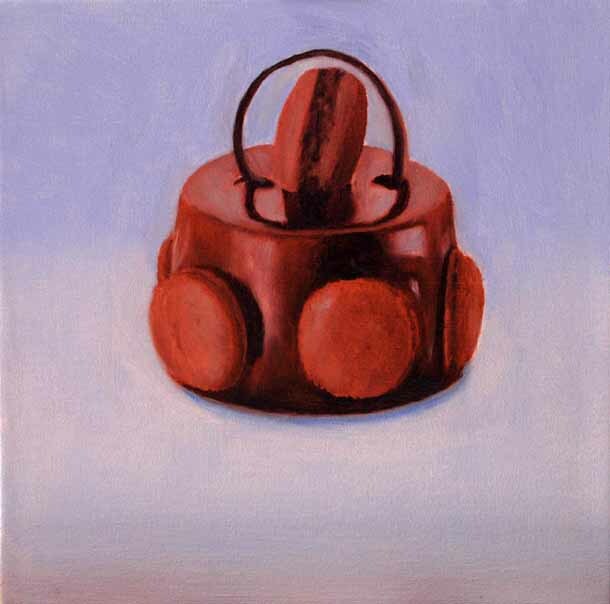 Bourbon Patisserie, 2012 ©John O'Grady Oil on Panel, 6"x6" Not For Sale I couldn't resist. 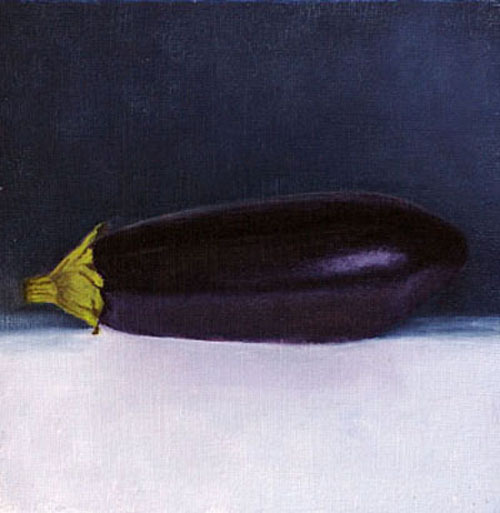 Of course, this pâtisserie was only bought for the purpose of a still life study. 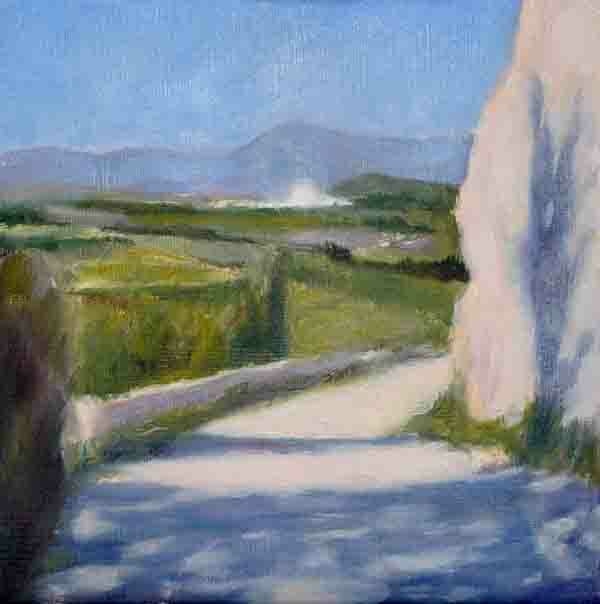 John O'Grady, Oil on Panel, 5"x5", 2012. Sold This handmade jug and Shallot are perfectly matched in this quiet arrangement of soft browns, creams and greys. 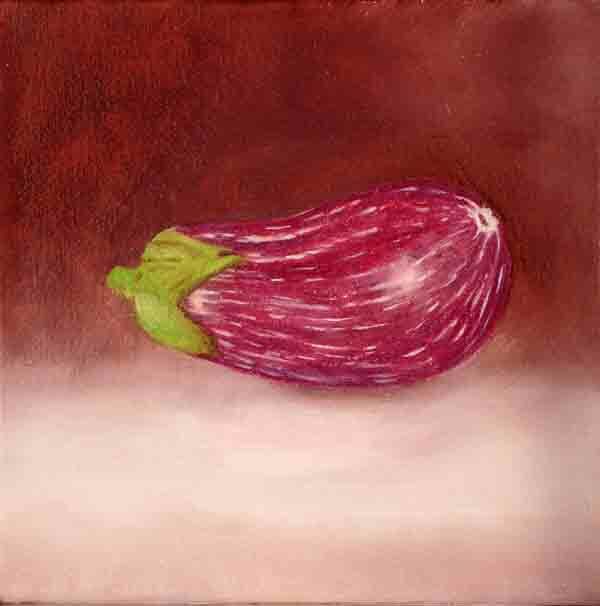 Aubergine Rose Marbrée, ©John O'Grady, 2012 Oil on Panel, 6"x6" This Aubergine caught my eye in the market this morning. 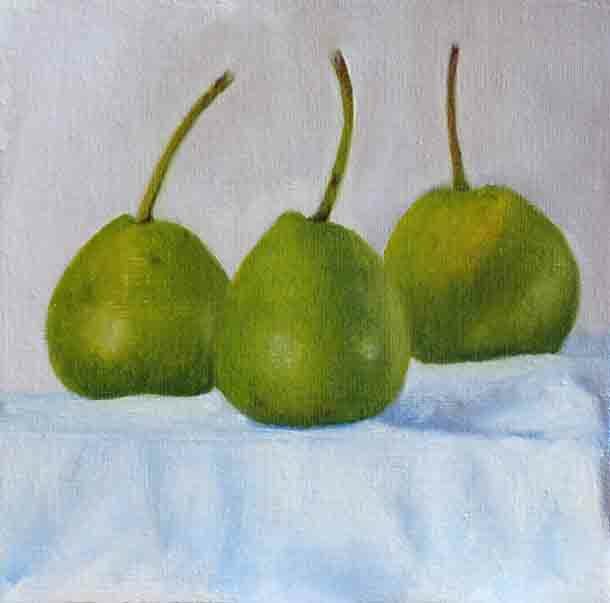 Poires de la St Jean, 2012 ©John O'Grady, Oil on Panel, 6"x6" When I saw these little jewels, 2" high and bright green, I had to buy some. 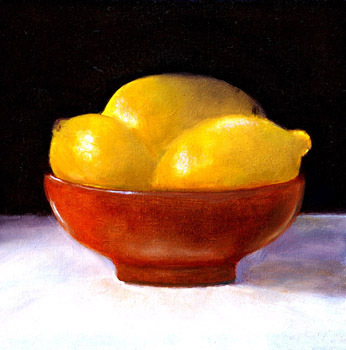 They are called St John's Pears as they are ready to pick on St John the Baptist's birthday on the 24th of June. 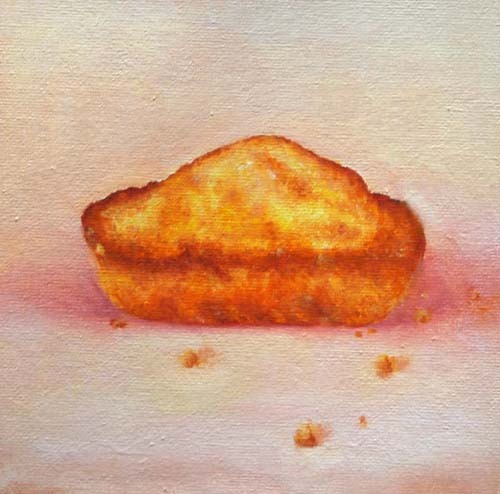 A Madeleine for Nick, 2012 ©John O'Grady Oil on Canvas, 6"x6" Sold My brother in law is a keen Marcel Proust's fan so I painted this for him as a reminder of times past. 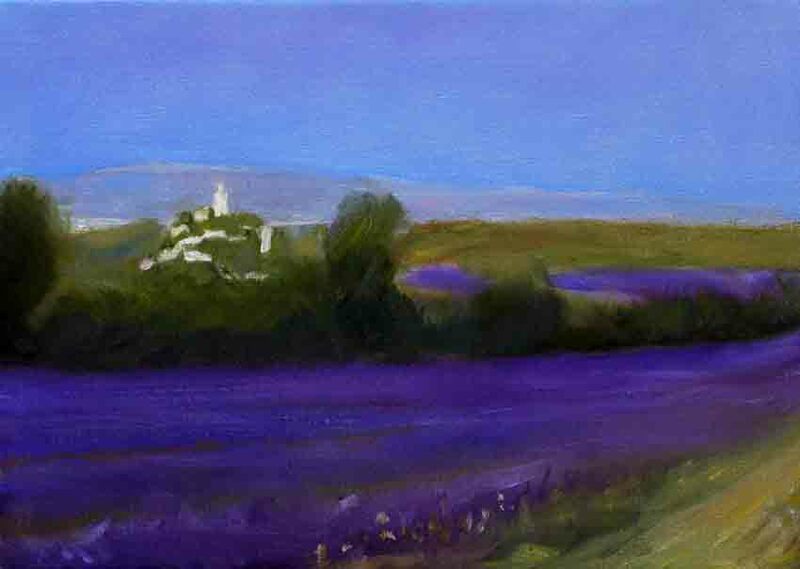 The Goat Herder's Farm, 2012 ©John O'Grady Oil on Panel, 6"x9" Not for Sale (NFS) This farm and beautiful lavender field are two minutes walk from my in laws' house. The light and colour on the field change all the time. 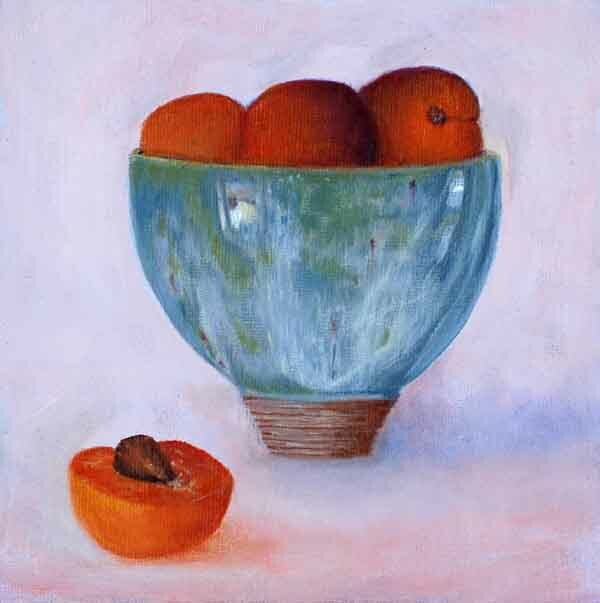 John O'Grady, ©oil on panel, 6"x6", 2012 A blue bowl from a local potter with juicy apricots from the local market. 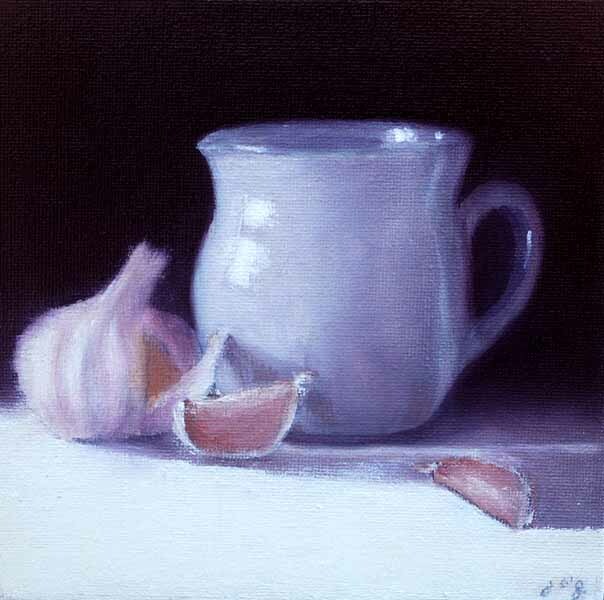 Ceramic with Garlic Bulb, ©John O'Grady, 2012 Oil on Panel, 6"x6" The light first thing in the morning has a lovely cool blue quality. 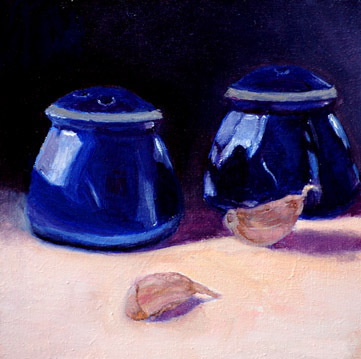 This still life arrangement was about the objects and their relationship, and how that cool blue light illuminated them. 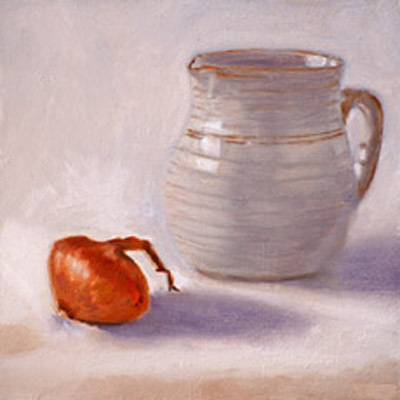 Ceramics for Condiments, ©John O'Grady, 2012 Oil on Panel, 5"x5" I found these tiny ceramic salt and pepper holders in a local charity shop. 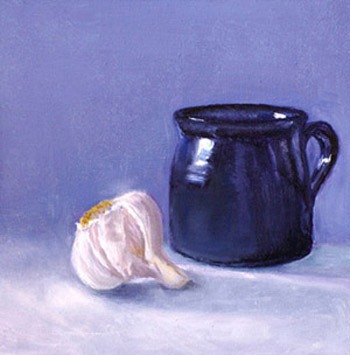 I think they have a beautiful reflective quality next to the muted tones of the cloves of garlic.